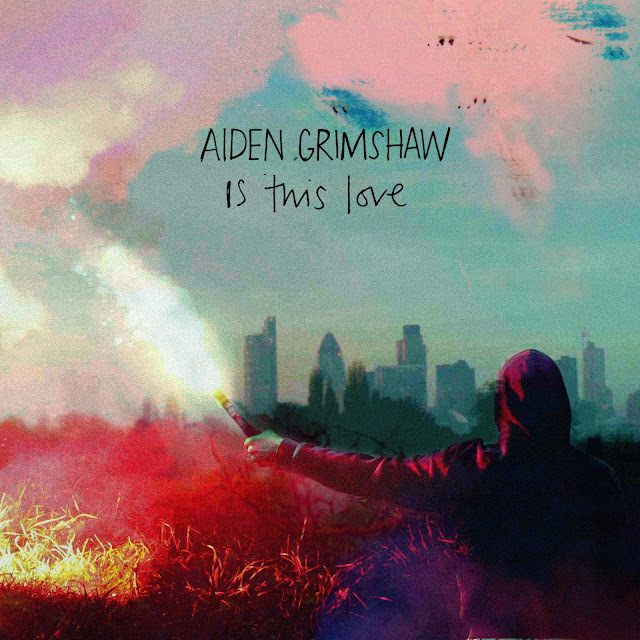 Nearly two years after gracing television screens all over the UK as a contestant on The X-Factor: Series 7, Aiden Grimshaw has (finally) unveiled his debut single and it's a wonder to behold. "Is This Love," due June 3rd via RCA Records, was written by the 20-year old Grimshaw, and serves as the first single off his debut album, Misty Eye, out August 13th in the UK. Listen to the single BELOW. At first listen, Aiden appears to be he heading in the right direction, musically speaking, following the lead of other more established "folktronica" artists like Alex Clare and Ellie Goulding. This song is an exercise of both subtlety and strength, complete with a big, soaring chorus and booming drum & bass beats, utilizing Grimshaw's beautiful falsetto to absolute perfection. This combination showcases, not only Grimshaw's vulnerability, but his impressive vocal chops as well. Aiden's vocals rise triumphantly above the sleek, futuristic-sounding production, immediately slaying all those who listen. What a debut! Grimshaw's songwriting skills are also worth noting. Gone, are the days when reality show contestants are thrust into the arms of a team of songwriters. I love that this latest crop of burgeoning artists are allowed the opportunity to showcase their own skills as storytellers. Given that he's a product of an X-Factor season as BURSTING with talent as Season 7 was, Aiden Grimshaw should have no problems blowing up in the UK, potentially all over the world. Season 7 has already churned out stars like Rebecca Ferguson, One Direction and Cher Lloyd, all of whom are about to EXPLODE here in America, or already have *AHEM* One Direction *AHEM*. The one name missing from that list is Season 7 winner Matt Cardle. I'm worried that he's going to become Britain's own Taylor Hicks if his career doesn't turn around fast. The charismatic Aiden Grimshaw has nothing to worry about, as far as I'm concerned. He's a total star. "I didn't really know what I wanted from it. I love music, and I knew I could sing, but I didn't think I was X Factor material. I'd been given this opportunity and I didn't want to waste it. But I had no idea what sort of music was really me. Everyone else had their own ideas, but all I knew was what I didn't want."
Well, it appears that he's found the type of music that's decidedly his and I like the direction he's going in. Following his time on The X-Factor, Grimshaw moved to London and "set up a home studio where he spent two years writing and recording demos with various writers and producers." Hooking up with Australian songwriter/producers Jarrad Rogers (Lana Del Rey, Tinchy Stryder, Pixie Lott), Grimshaw found his "musical soul mate." 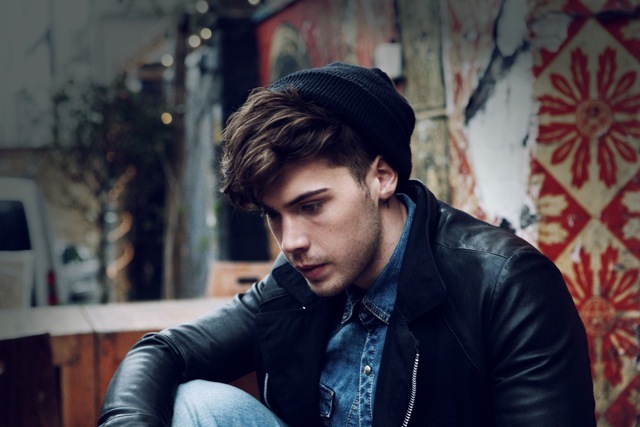 And I think I've found my musical soul mate in Aiden Grimshaw. Move right on up to the top of my 'Most Anticipated' list Mr. Grimshaw. Check out Grimshaw's X-Factor audition BELOW and look out for his debut single, "Is This Love" on June 3rd, followed by his debut album Misty Eye, out August 13th. UPDATE: It would appear that I spoke too soon about Series 7 X-Factor contestants launching in America. Thanks to an 'Anonymous' commenter, I learned that Matt Cardle will be making his American live debut on May 5th at Hotel Cafe in Los Angeles. It doesn't appear to be part of a bigger U.S. tour...at least not that I know of. Very interesting development. Buy tickets to Matt's May 5th gig in LA HERE. at Hotel Cafe. I can only assume so that his gig can be filmed for, Later, with Carson Daly. He will be back in July to appear at one of the big Canadian music festivals. Oh wow! I absolutely did NOT hear! That's amazing. Thanks for the comment. Thanks for the lovely review. I completely agree, this track is fantastic. Aiden's very talented - hopefully this will be a success for him. Me too! I'm excited to hear what's next for Aiden.